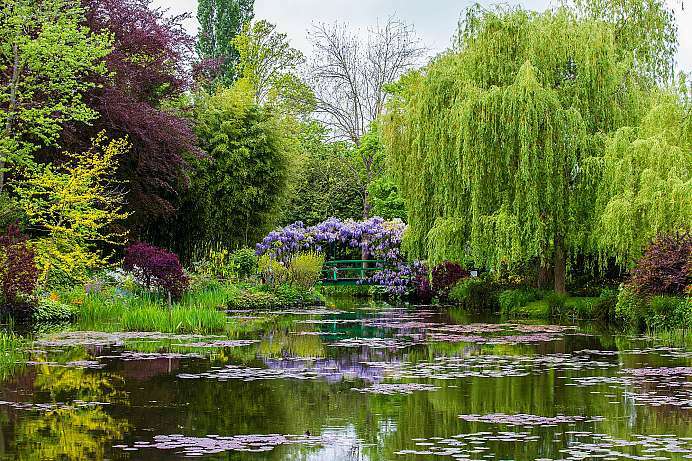 Normandy acquired its present name during the Middle Ages, when the Vikings conquered the country and mingled with the native population. The result was a new tribe – the “Northmen”. To pacify them, their leader, Gånge Rolf, was awarded the fief of Normandy. He and his descendants became dukes, one of which, namely Wilhelm, conquered England in 1066. 900 years later the English came back, but as holidaymakers on the Norman beaches. That way Dieppe became the first holiday destination in “Romantic Normandy”. 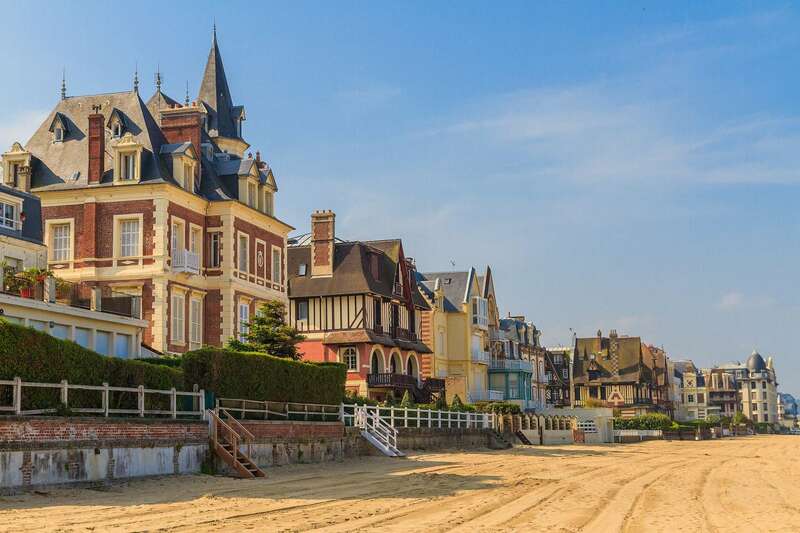 In addition to sandy beaches and history, there are other attractions: The three big C's stand for the Norman Cuisine: Cider, Calvados and Camembert. The mild and humid climate provides ideal conditions for livestock and the cultivation of apples. There are approximately 10 million apple trees in Normandy, making for a sea of apple blossoms during spring. 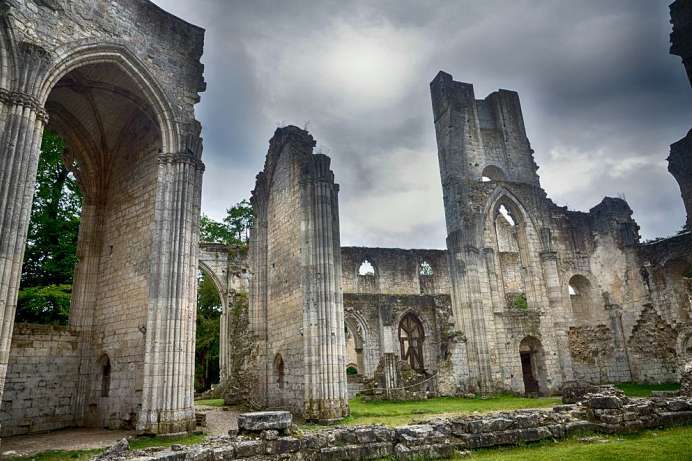 Once the abbey was one of the richest in France; today it is in ruins. However, they suggest the former significance of the monastery. Completely preserved are the 47-meter-high twin towers, which are well visible from far away. The roofless nave is of huge dimensions. It has a length of over 120 meters. The cloister built in late gothic style is partially destroyed. Lord Stuart de Rothesay had bought a wing and had it installed in his Highcliffe Castle near Bournemouth. In the middle of the rest of the cloister grows a powerful yew tree for more than 500 years. In St-Peters-Church next to the main church remains of Carolingian murals are preserved. An arch in the westwork shows the typical meander pattern. On the south wall a portrait can be seen, but of whom is not known. 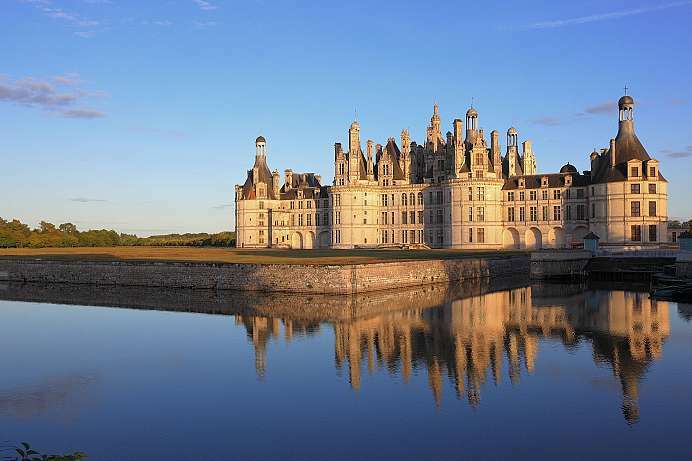 1,000 years ago, the Normans built a fortress on an island between the rivers Orne and Odon. Under William the Conqueror two abbeys were added. In the Hundred Years' War between England and France, the city was constantly besieged. However the greatest destruction of Caen began in the early summer of 1944. 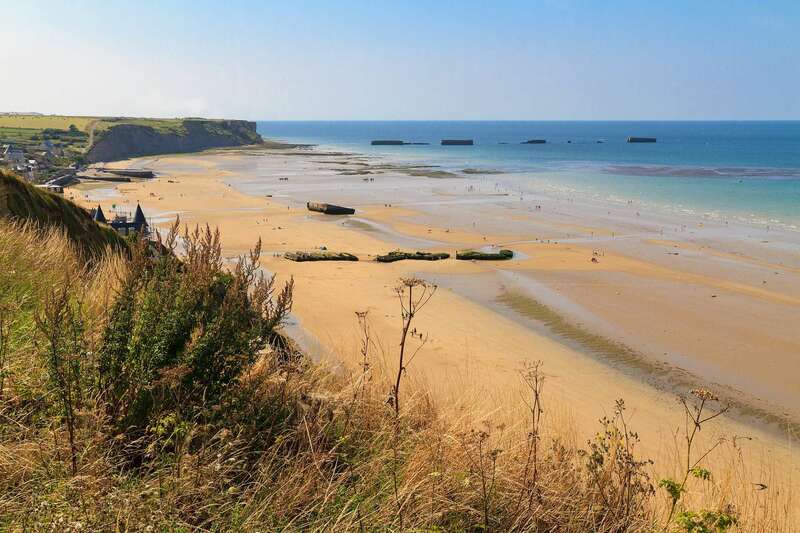 On D-Day, June 6, 1944 a servere battle between the Allies and the German occupiers started. On July 9, 1944, the Germans gave up Caen and thus the city was liberated. 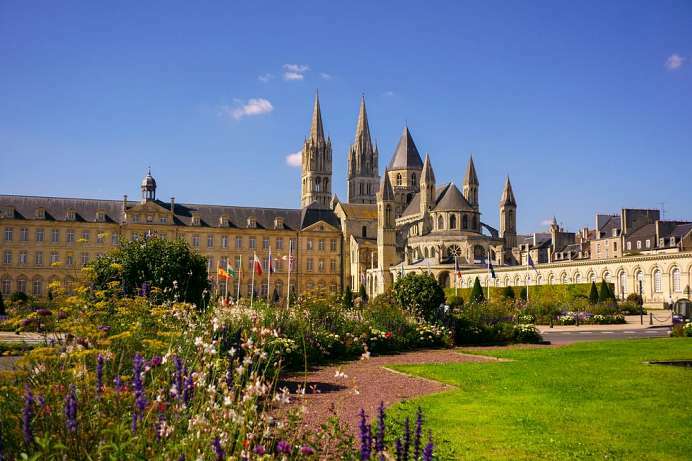 Around the restored historic buildings, the new Caen was built, a green city, whose student flair attracts numerous visitors with cafes and boutiques. This town in Normandy is known for the soft cheese that bears its name. 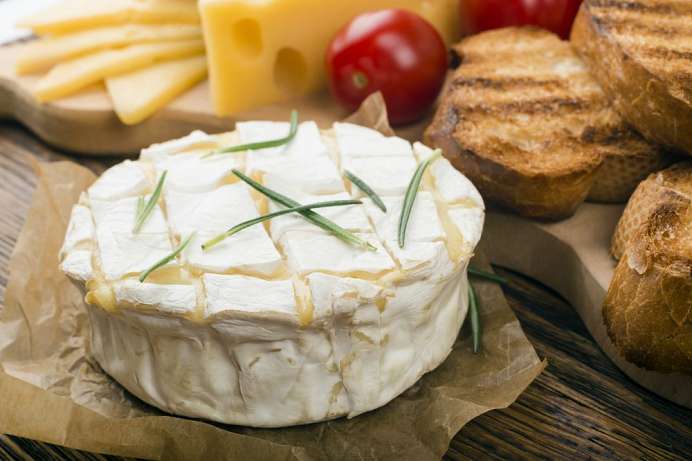 Camembert cheese is said to have been invented in 1791 by a peasant woman named Mari Harel. The the farm known as “La Héronnière” is located not far from the country estate of Beaumoncel, where Marie Harel once lived. La Héronnière is the only farm in Camembert where Camembert is still made in the traditional way. The farm and cheese factory are run by François and Nadia Durand. Their cheese bears the AOC seal (Appellation d’Origine Contrôlée). The 416-meter-high mountain is the highest point in a long series of hills. 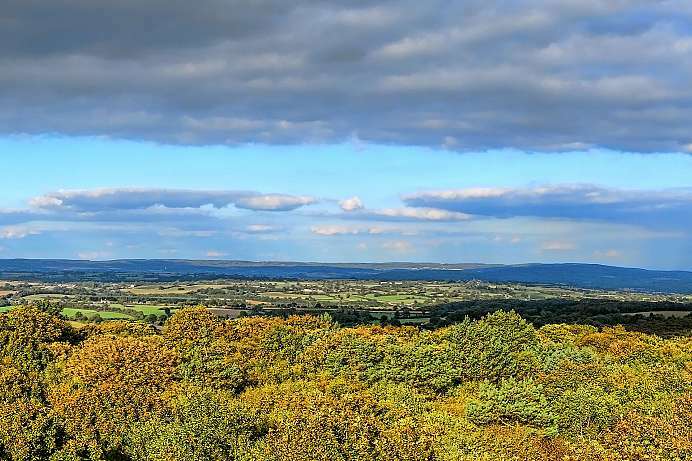 Since 1992 a pavilion at the summit enables a wide panoramic view over the treetops. Several beautiful hiking trails lead through the Armorican forest . 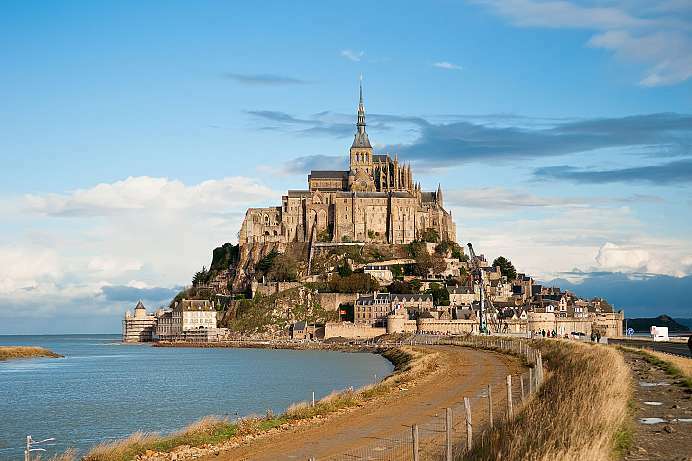 The unusual Benedictine Abbey jutting out of the waters of the English Channel is considered the most important monastic structure of the European Middle Ages. Built between the 11th and 16th centuries, it occupies most of a one-kilometer-diameter clump of rocks which was originally connected to the mainland by a thin natural bridge. According to legend, it was the Archangel Michael himself who ordered the Bishop of Avranches to found the monastery in 708. The building is open from 9:30 a.m. to 6 p.m. and guided tours are offered. Visitors should be prepared for large crowds of tourists. This is also where the greatest tides in Europe occur. The ocean recedes by around 14 km at low tide, then rushes back at a speed of 15 km per hour at high tide. The 128 meters high towering rock cliffs belong to the highest in Europe. 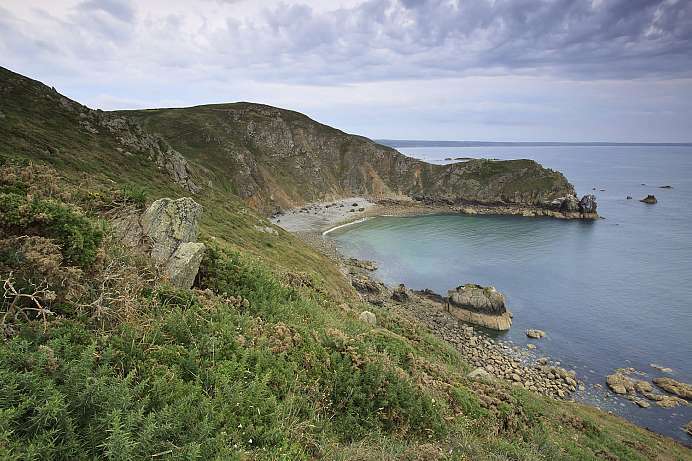 From the top you have a magnificent view of all the Channel Islands, namely on Jersey, Guernsey and Sark. At the foot of the cliffs there are several caves, such as the fairy groote or the lion grotto formed both by the sea. Between the grotto of the small church and the grotto of the big church smugglers are said to have dug a canal. 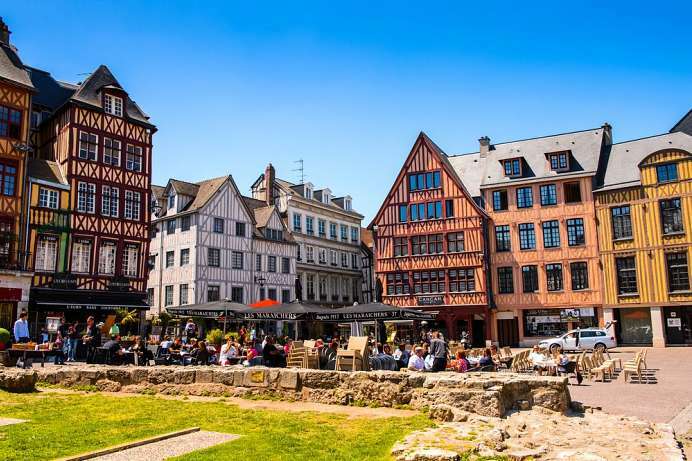 More than 2,000 timber-framed buildings and several Gothic churches testify to the wealth of bygone centuries, which this city owes to its harbor on the lower Seine. The river is even navigable for ocean-going vessels this far inland. Rouen was conquered during the Hundred Years' War when the entire region of Normandy fell under British rule. In 1431, Joan of Arc was burned at the stake here. The old town surrounding Notre Dame Cathedral and the Great-Clock is especially worth a visit.